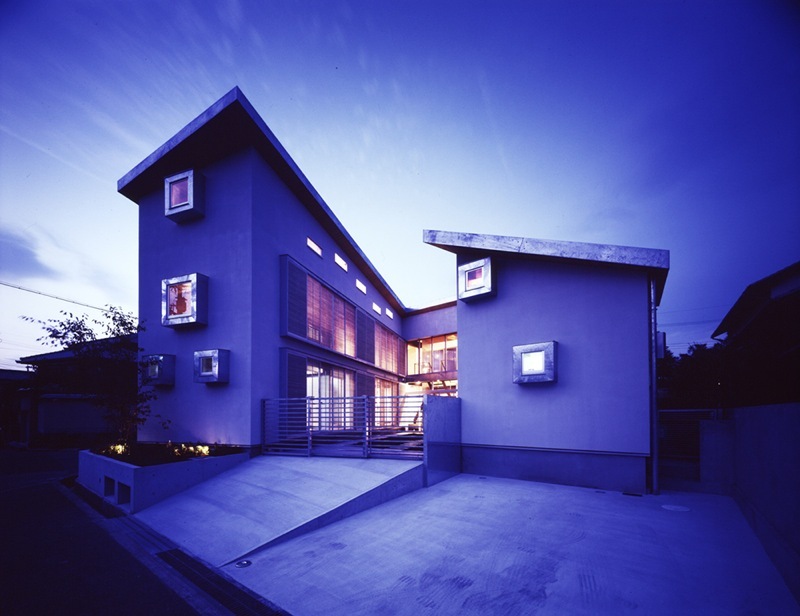 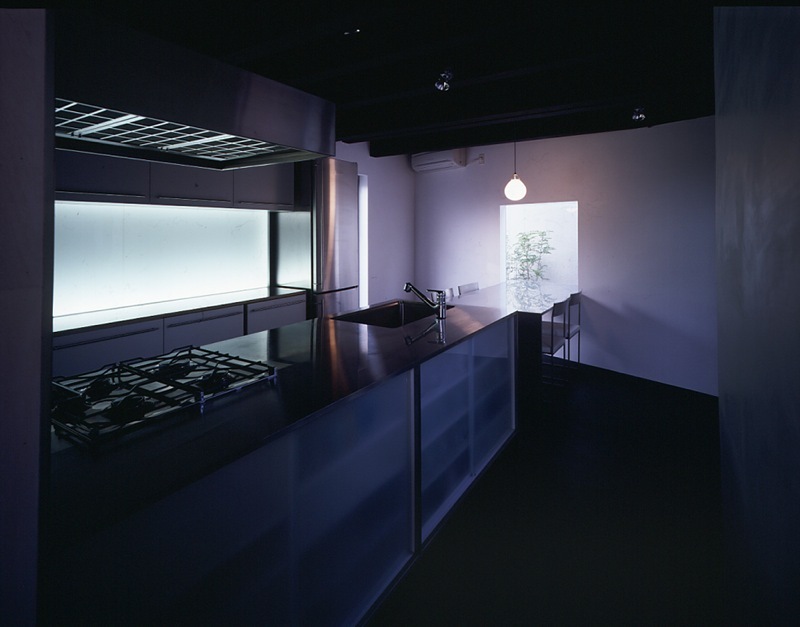 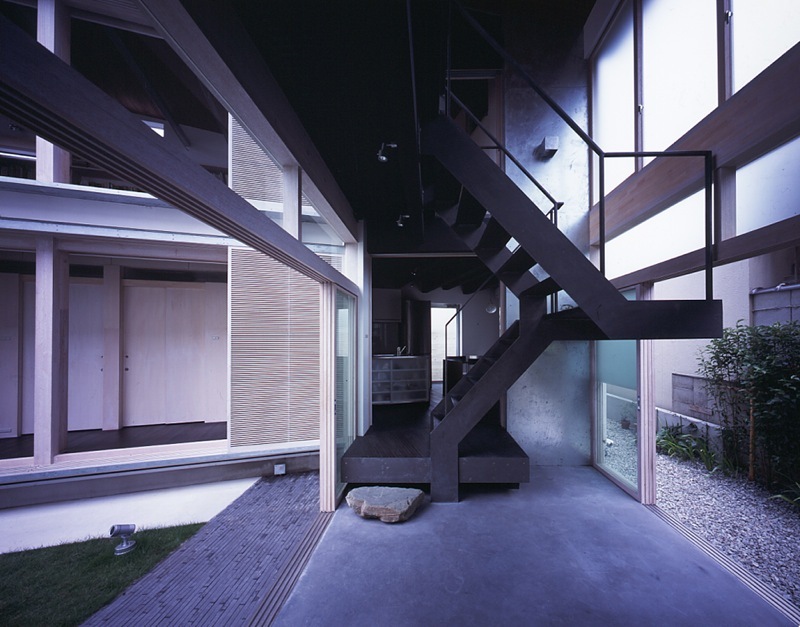 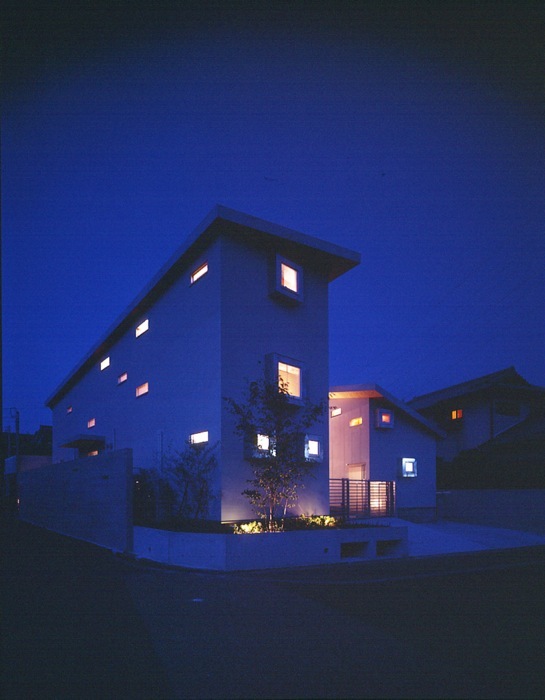 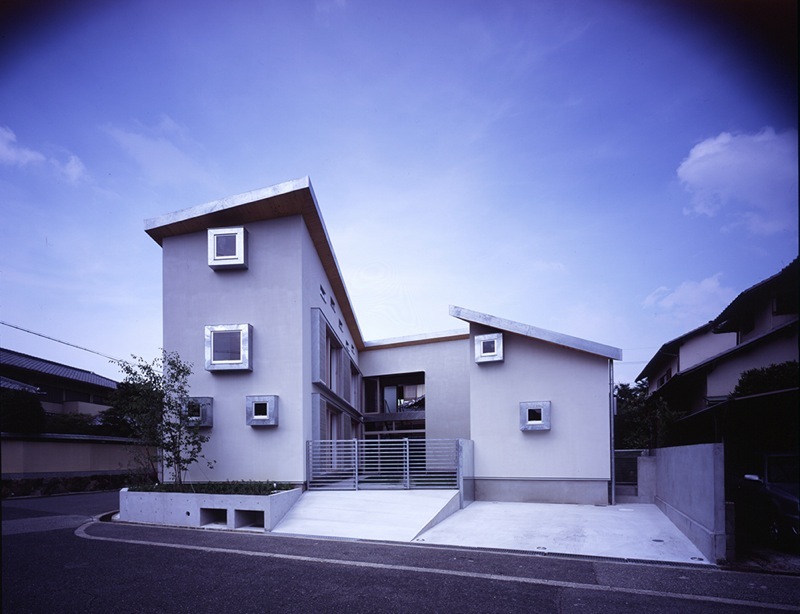 The site is located in a quiet residential area in Senboku New-Town, Osaka. 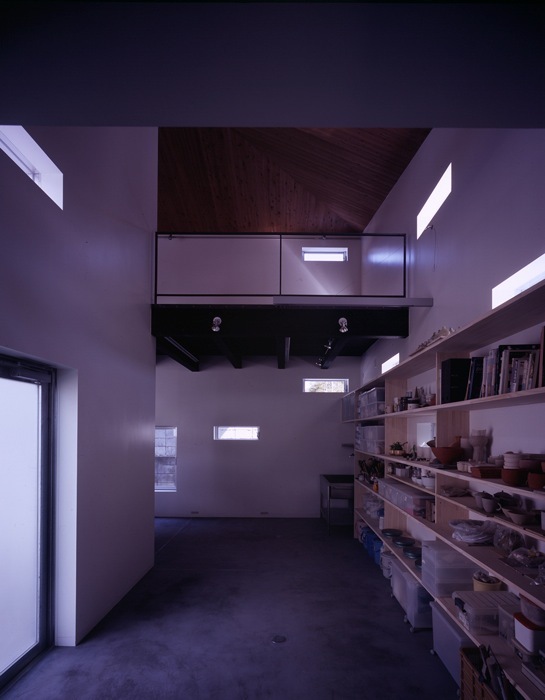 The owner requested three primary functions for the new building: first as a residential space for a family of three; second as a studio for his wife and daughter who both are potters, and third as a gallery to exhibit artworks made by them as well as his own sculptural pieces. 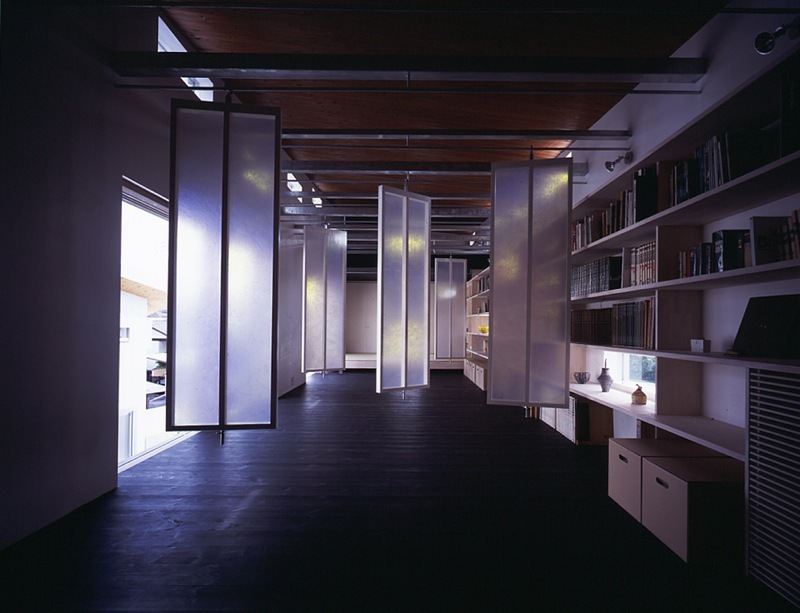 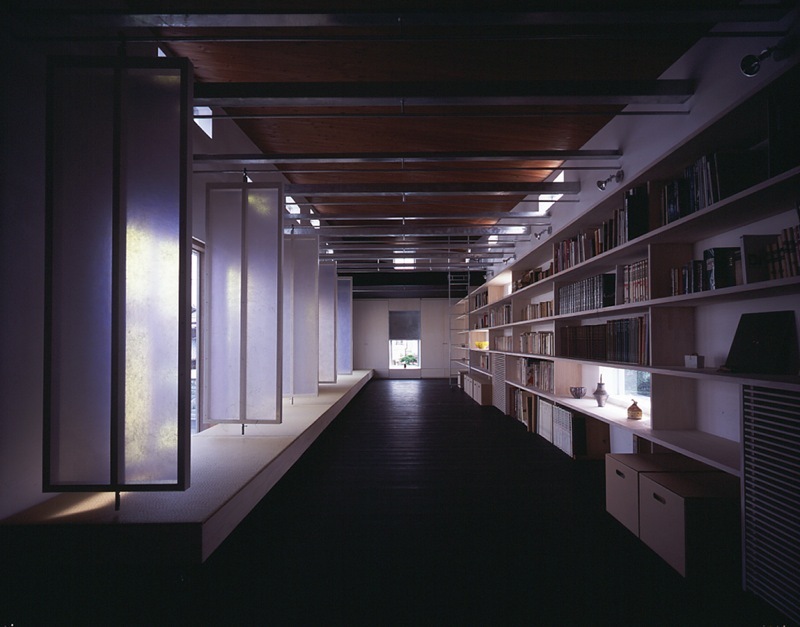 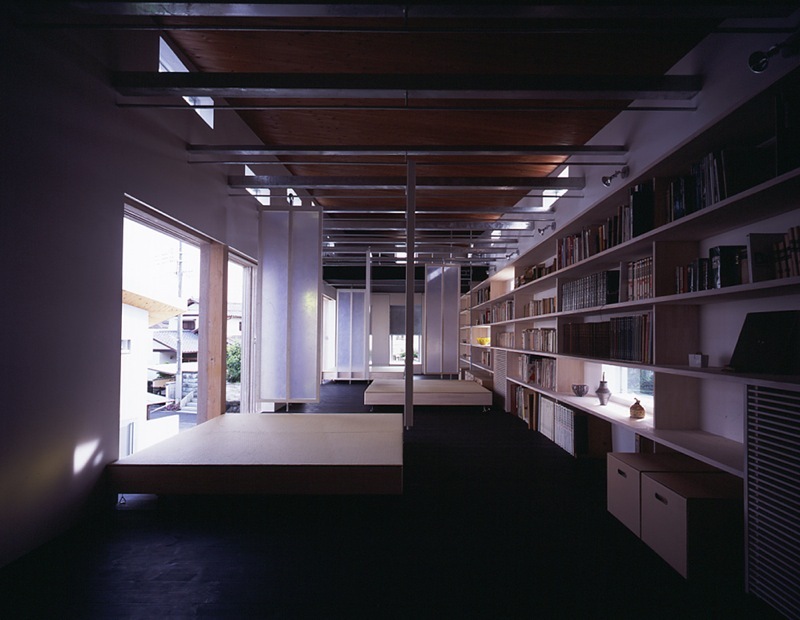 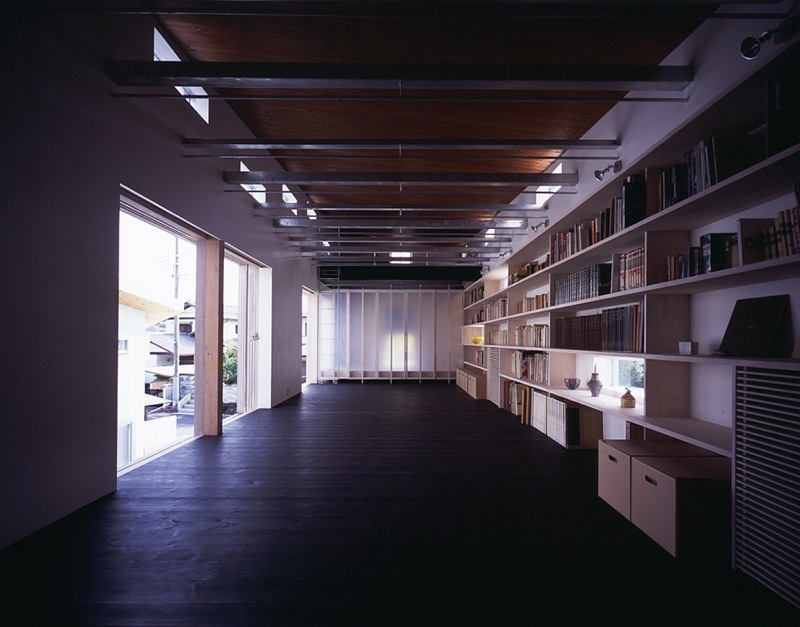 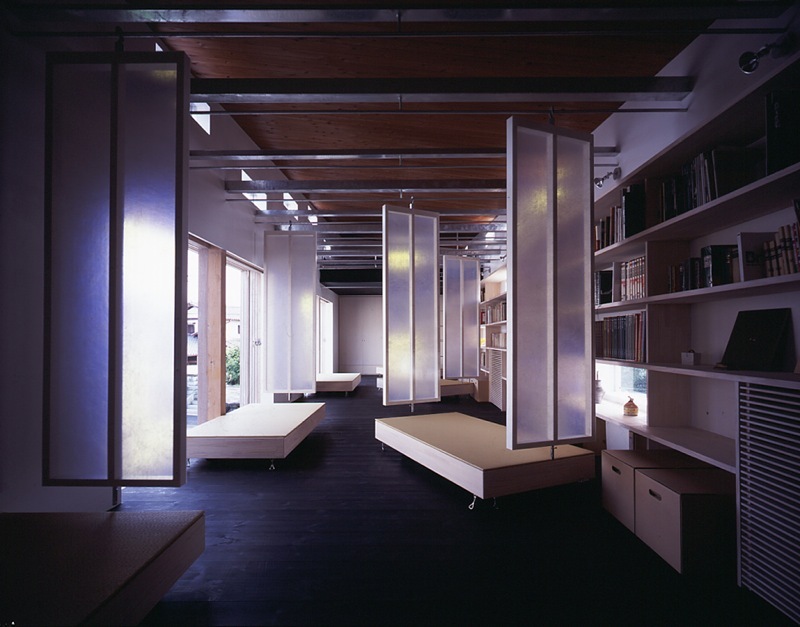 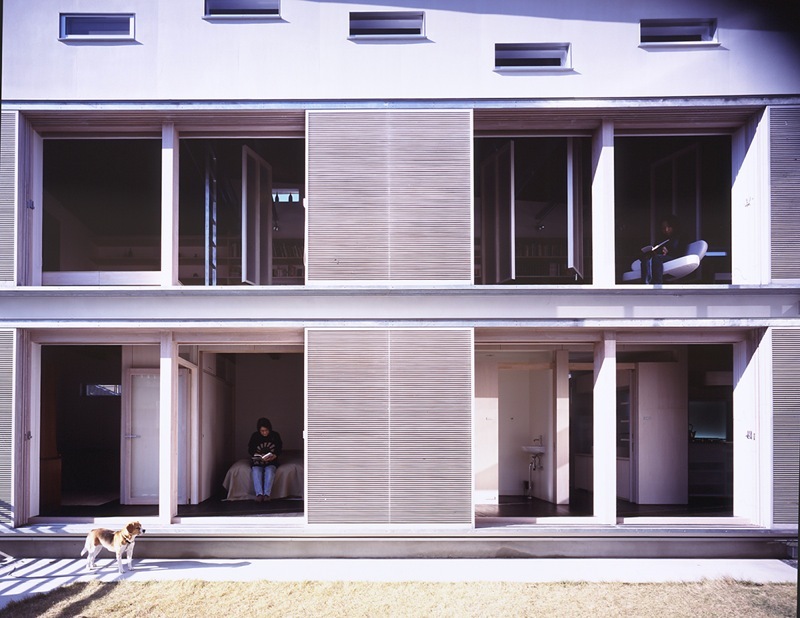 As a result of examining the three functional zonings, it was designed to be a C-shaped building surrounding a courtyard on the west.It consists of a two-layered house on the north and two-layered studio and gallery on the east and south.A single roof joins these two volumes into one continuous space when doors, dividers and other fittings are opened. 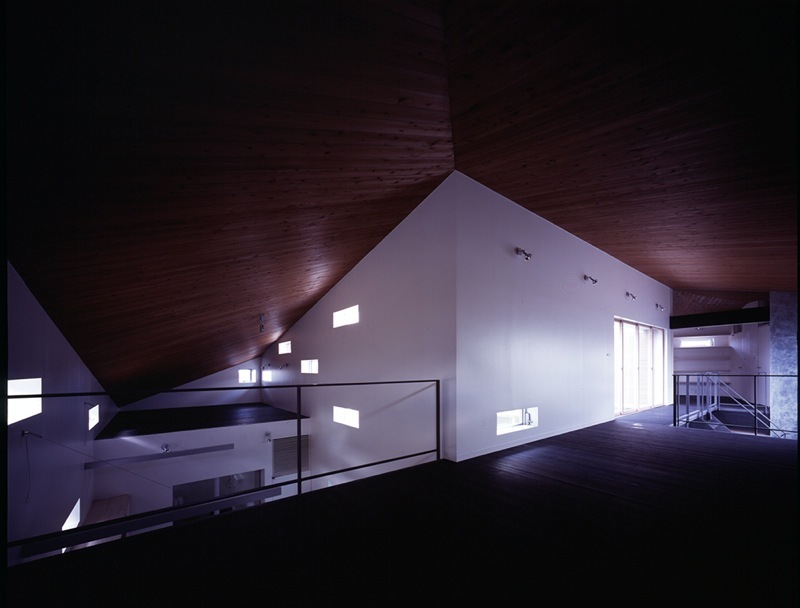 In this project, we examined how to give a residence more flexibility.As a result, several intermediate territories are created for different conditions.First, a doma (mortar-finished floor space) was provided in the center of the building as a connecting node for the three functions of the house - studio, gallery and residence. 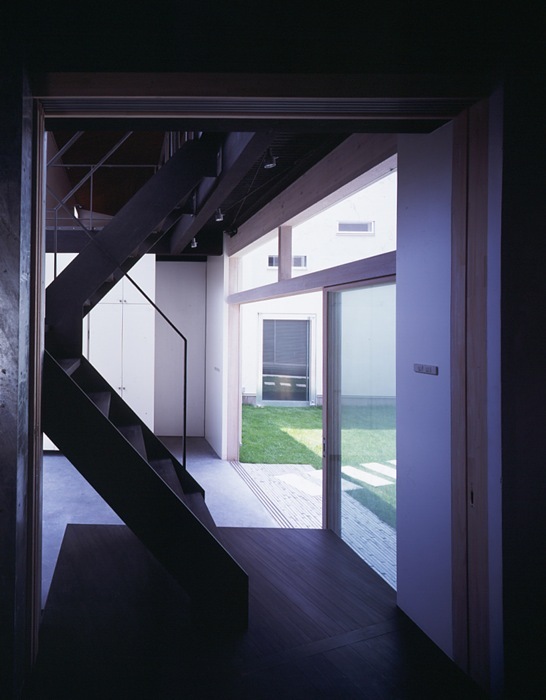 The courtyard, which becomes a void in the center of the site, is not simply a private space.Being divided from the road on the west with a louvered gate, it is planned to be one of the intermediate territories between public and private spaces.At the same time, the void of the courtyard floods the interior with light and views through the large opening when it is wide open.It also brings indirect south-east through slits into the studio so it won’t disturb the work being done. 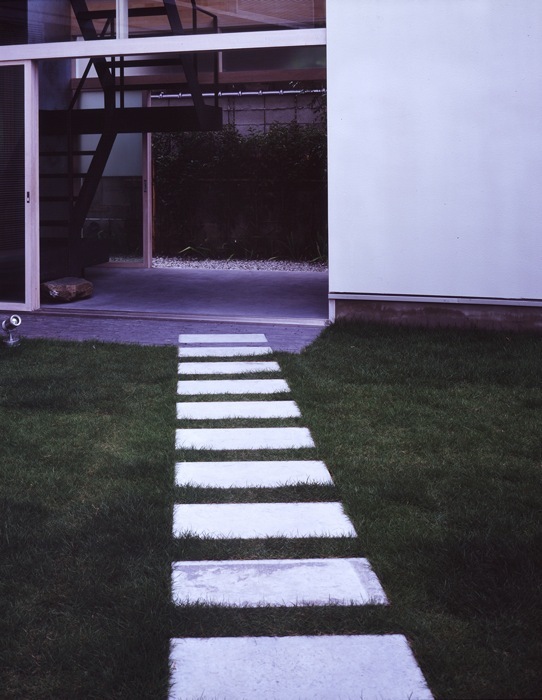 Furthermore, the courtyard also can be an activity space, transforming according to the whim of the residents.It can be an outdoor living room extending beyond the house, an outdoor exhibition space protruding from the gallery, or sometimes a party space. 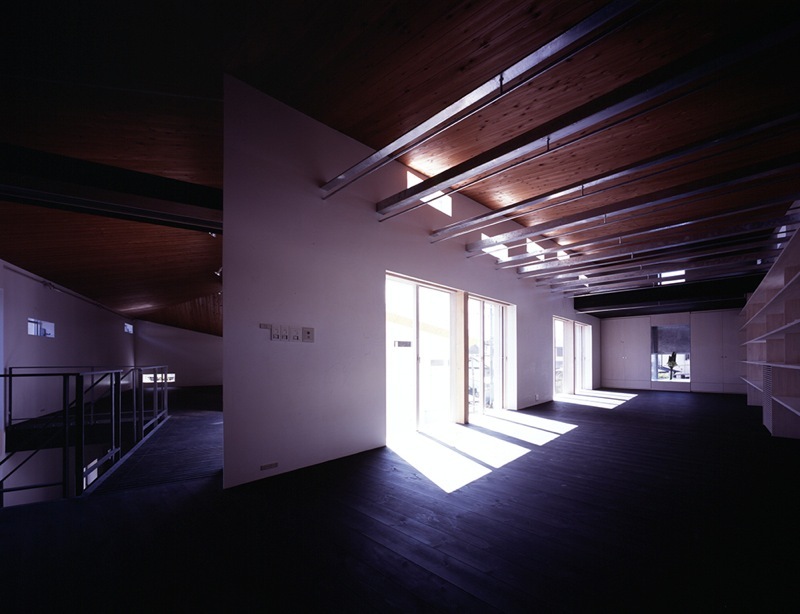 “Living,” “Creating,” “Exhibiting,” “Gathering,” - myriad activities are to be performed in this building, and its flexibility allows each zone to adapt its function for a required purpose.For everyday living, it is simply separated according to the fundamental functions.For special occasions, the entire site can become one continuous space functioning as a gallery by joining the various intermediate territories.Using various elements such as storm doors, hanging walls, tatami mat chairs, and storage partitions, this building gives the residents more freedom to determine the relationship or distance in multiple ways.We are sure that it will continue to expand the possible living styles for the residents of this house for many years to come.